MYPOSTURE chairs provide external postural and lumbar support. Helps maintain the natural curve of the spine. Serves to offset the muscle fatigue that can lead to slouching. GREENGAURD gold standard. 10- year warranty. 13.5"W x 11.75"D x 20.5"H.
MYPOSTURE chairs provide external postural and lumbar support. Helps maintain the natural curve of the spine. Serves to offset the muscle fatigue that can lead to slouching. GREENGAURD gold standard. 10- year warranty. 15.5"W x 14.5"D x 23"H.
MYPOSTURE chairs provide external postural and lumbar support. Helps maintain the natural curve of the spine. Serves to offset the muscle fatigue that can lead to slouching. GREENGAURD gold standard. 10- year warranty. 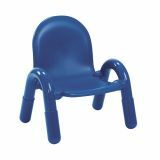 15.5"W x 14.5"D x 26"H.
MYPOSTURE chairs provide external postural and lumbar support. Helps maintain the natural curve of the spine. Serves to offset the muscle fatigue that can lead to slouching. GREENGAURD gold standard. 10- year warranty. 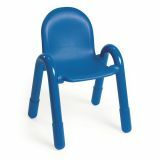 13.5"W x 11.75"D x 18.5"H.
BaseLine chairs are durably designed especially for kids. Features safe rounded edges, and leg boots to reduce noise. Stackable. Accomodates up to 100 lbs. GREENGAURD gold certified. 5-yr waranty. 16.75"W x 15.5"D x 21.5"H. 11" high seat. 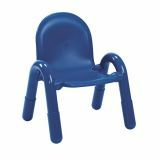 BaseLine chairs are durably designed especially for kids. Features safe rounded edges, and leg boots to reduce noise. Stackable. Accomodates up to 100 lbs. GREENGAURD gold certified. 5-yr waranty. 16.75"W x 16.5"D x 23.5"H. 13" high seat. 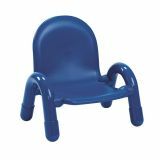 BaseLine chairs are durably designed especially for kids. Features safe rounded edges, and leg boots to reduce noise. Stackable. Accomodates up to 100 lbs. GREENGAURD gold certified. 5-yr waranty. 16.75"W x 12"D x 15.5"H. 5" high seat. 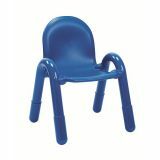 BaseLine chairs are durably designed especially for kids. Features safe rounded edges, and leg boots to reduce noise. Stackable. Accomodates up to 100 lbs. GREENGAURD gold certified. 5-yr waranty. 16.75"W x 13"D x 17.5"H. 7" high seat. 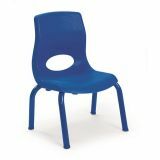 BaseLine chairs are durably designed especially for kids. Features safe rounded edges, and leg boots to reduce noise. Stackable. Accomodates up to 100 lbs. GREENGAURD gold certified. 5-yr waranty. 16.75"W x 14.5"D x 19.5"H. 9" high seat.